The legendary RMS Titanic slipped beneath the waves of the Atlantic Ocean on the dreadful night of April 15, 1912. It was hidden by this icy grave for 73 years before the ghostly remnants were finally rediscovered. The quest for the sunken ship began almost immediately after the disaster, but the quest was made even more difficult by the innacurate coordinates sent out with the distress signal. Wealthy families of Titanic victims such as the Astors, Wideners and Guggenhelms pledged money toward the effort, but the project was soon deemed unpractical. The divers were only able to penetrate a fraction of the depth it would require to reach the remains. The lack of submarine technology, not to mention the outbreak of WWI, debunked the project. The collaborators considered using explosives in an effort to free the corpses entrapped in the wreckage but decided against it after being advised by oceanographers that it would turn the human remains into gelatinous blobs. Good thing they didn't. Even with the world at war, the Titanic was not forgotten. Many proposals were made to raise her, including the idea of using electromagnets or even balloons to lift her out of the water. The balloon idea was abandoned when calculations showed that it could take ten years to generate enough gas in the underwater conditions to lift the wreckage. Many more proposals were made throughout the 60's and 70's. Their biggest problem was what they would do with the ship once they located it. They considered pumping her full of wax, filling her with ping-pong balls, freezing the water around her to turn the ship itself into an iceberg...and many more. At this point, it was still believed that the Titanic had sunk in one piece. 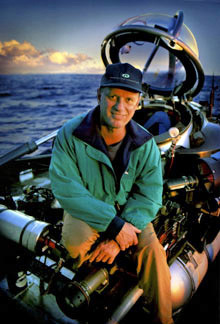 Robert Ballard, then working for the Woods Hole Oceanographic Institution, had long been interested in the Titanic and its discovery. In October of 1977, he made his first attempt in locating the ship by means of the Seaprobe. This was a piece of equipment belonging to the company that was similar to a drillship with cameras and sonar capabilities. The expedition ended in failure. The drill pipe broke, sending over $600,000 worth of equipment and electronics into the depths. Robert went back to the drawing board. In the mean time, Disney, National Geographic, and Billionaires all tried to accumulate funds and technologies that would succeed in raising the Titanic. Movies were made...but still, finances weren't enough and nothing worked. In 1980, Jack Grimm, an oilman from Texas, finally succeeded in raising enough money and interest for yet another expedition. He nearly lost his scientific support when he added a monkey to the expedition team. This monkey supposedly was trained to point to a spot on the map where the Titanic was submerged. His scientists objected, and Grimm was forced to abandon the monkey idea. This first Grimm expedition was inconclusive. After almost constant bad weather and technical difficulties, Grimm was probably wishing he'd stuck with the monkey. On Grimm's second expedition, he claimed to have found a propeller, but the scientists wouldn't endorse his claim. On his third trip, the "propeller" was no longer there. 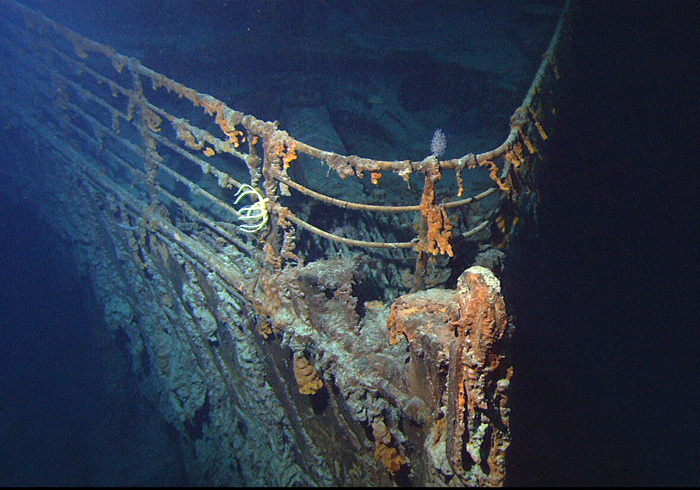 However, Grimm's expeditions were successful in mapping out the area around the Titanic wreck site. Years later it was discovered that Grimm's third expedition had passed over the Titanic, but had failed to detect it, probably due to bad weather. Robert Ballard had not given up on his quest for the Titanic either. Utilizing Navy technology experiments, Robert began looking for the Titanic again in 1985, this time with some more experience under his belt. It was this experience that gave him an idea. Instead of using sonar to locate the ship, he would use cameras and search for debris fields instead. After a week of round-the-clock searching, images began appearing on the screen. He'd found it. On this day, September 2, 1985, Dr. Robert D. Ballard found the main part of the wreck and announced his discovery of the Titanic remains. This was huge news. The long lost ship had finally been found, and the world was captivated by the ghostly images. Dr. Ballard's discovery gives us an eerie and unique glimpse into the sunken grave of this legendary ship. A glimpse that has inspired millions of imaginations around the world. 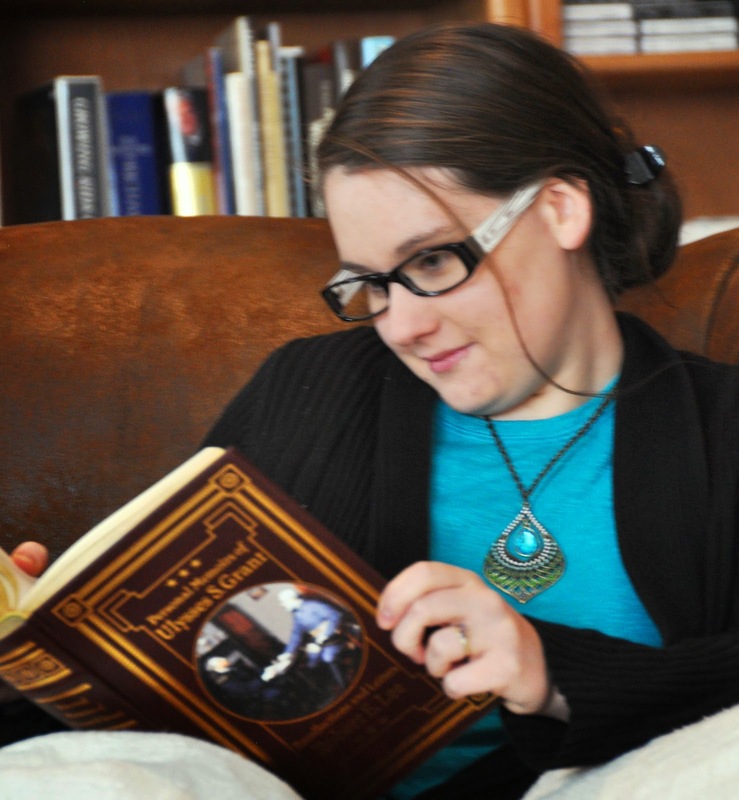 How has it inspired yours? Or Subscribe to her Newsletter here! I've never read up on the Titanic before. Thanks for sharing...very interesting. 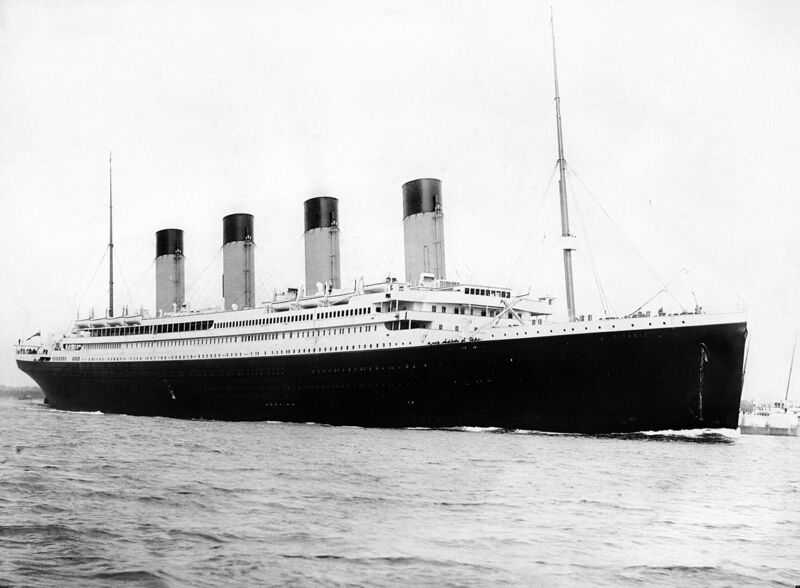 Very informative and interesting post about the Titanic. I've read some history about the Titanic but this was great!